A US judge approved Thursday a $400 million settlement in criminal penalties against the rig operator involved in the 2010 Gulf of Mexico oil spill, the worst environmental disaster in American history. The punishment was part of a plea bargain agreement reached last month by rig owner Transocean Deepwater Inc. and the US Justice Department. The penalty was approved Thursday by Judge Jane Triche Milazzo of the US District Court for the Eastern District of Louisiana, in New Orleans, AFP reported. The blowout on the drilling rig Deepwater Horizon on April 20, 2010, killed 11 people and sent 4.9 million barrels of oil gushing from the sea floor into the Gulf. Transocean pleaded guilty to one count of violating the Clean Water Act on account of negligence that led to the explosion of the Deepwater Horizon rig. Separately, the company has agreed to pay $1 billion in civil penalties. 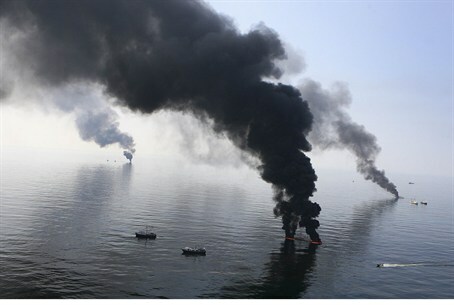 It was operating the rig for BP, which for its part was fined $4.5 billion over its role in the disaster. The crude flowed in uncontrolled fashion for almost three months in a tragedy that riveted the nation. In total, the amount of fines and other criminal penalties imposed on Transocean are the second-largest environmental crime recovery in US history, after that slapped on BP. "The Deepwater Horizon explosion was a senseless tragedy that could have been avoided," said Assistant Attorney General Lanny Breuer of the Justice Department's Criminal Division. "Eleven men died, and the Gulf's waters, shorelines, communities and economies suffered enormous damage. With today's guilty plea, BP and Transocean have now both been held criminally accountable." Under the plea bargain agreement, Transocean will also be placed on probation for five years, the maximum period allowed under law. Of the $400 million penalty, a quarter of that must be paid out within 60 days as a fine. Another $150 million will be disbursed to the National Fish and Wildlife Foundation, which will use half the money in Louisiana for barrier island restoration and other environmental projects. The other half will go to natural resource projects in other affected states such as Alabama, Florida, Mississippi and Texas. The final $150 million will go the National Academy of Sciences for the purposes of oil spill prevention and response in the Gulf of Mexico.